After three months with us, it’s time for the Mazda 3 to go home. It may not be the most notable or exciting medium hatchback, but it is one of the best value, so is that enough to make it worth considering? The Parkers team has its say. The Volkswagen Golf, Ford Focus and Mercedes-Benz A-Class are three of the ten best-selling cars in the country – proving the UK’s insatiable appetite for medium hatchbacks. The similarly sized Mazda 3 is a much rarer sight, however. We’re running one for the next three months to establish whether drivers are missing out on a fantastic car or whether they are steering clear of a second-class hatch. Why should I get a Mazda 3 over the Ford Focus and VW Golf? Despite being the largest, offering the strongest acceleration and a raft of desirable standard equipment, the Mazda 3 offers lower cash prices than the most similar Ford Focus and VW Golf. If you plan to pay cash you’ll save around £3,000 by choosing the Japanese car. The same story is true if you look at the SEAT Leon – a car that offers a similar prospect of reasonable performance and economy, striking looks and sharp handling. 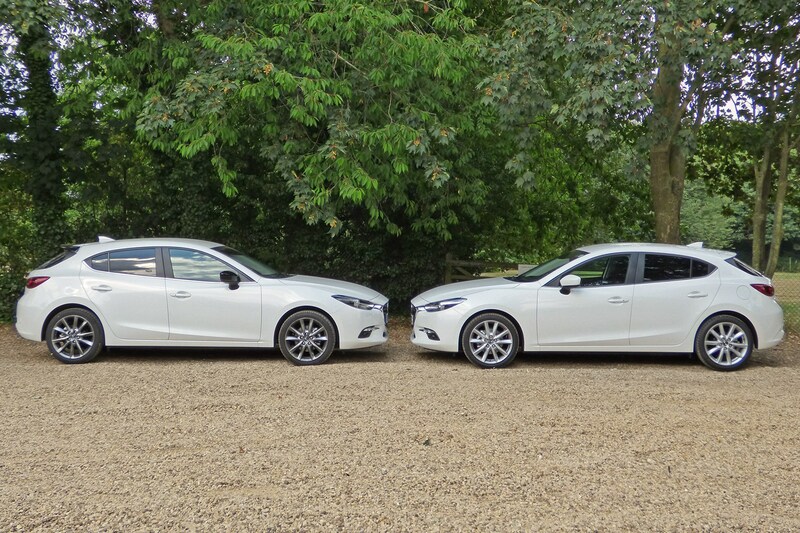 In this case, choosing the Mazda will save you around £1,700. 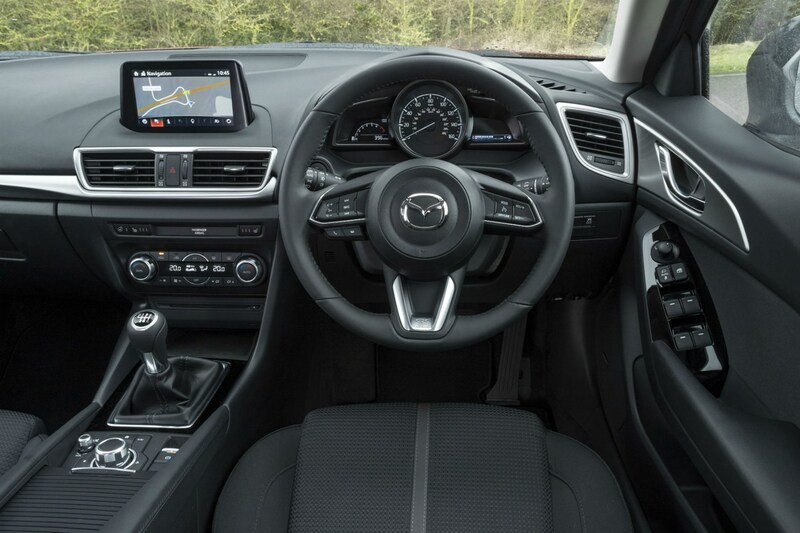 Partly explaining the difference in costs, the Mazda includes metallic paint as standard – even the Soul Red hue that would ordinarily cost you a hefty £670 – while this adds to the prices of rivals. 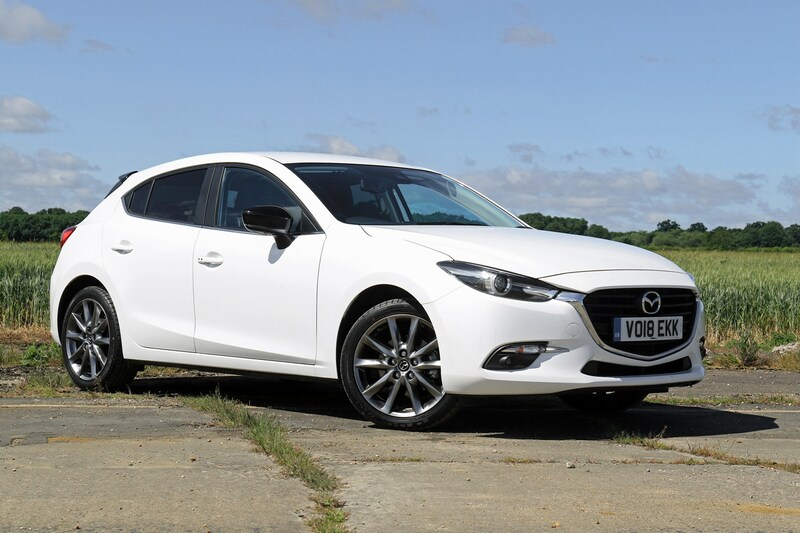 Of more relevance is how much the Mazda costs on PCP finance, as this is the way that the vast majority of UK new car buyers choose to pay for their cars. Tune in for our assessment of whether the 3 is good value or not on finance in a couple of weeks. Spoiler: the answer could save you around £80 per month. What specification is Parkers’ long-term Mazda 3? Our 3 is a 2.0-litre 120hp Sport Black five-door – a limited-edition model of which just 700 are being built. Setting it aside from standard 3s are free metallic paint – the glistening white of our car, Mazda’s rich trademark Soul Red or a zingy blue – plus 18-inch grey wheels, and a black roof spoiler and wing mirrors. 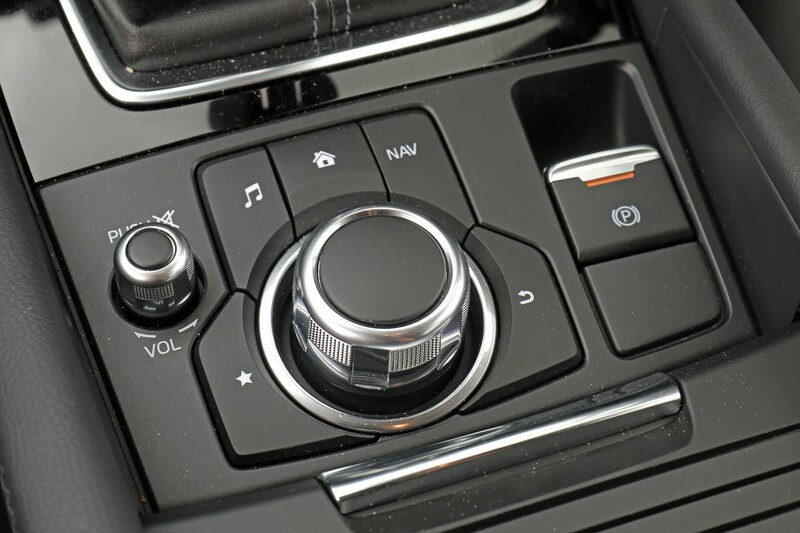 Additional kit over the 3 SE-L Nav specification comprises a reversing camera, LED headlights that swivel as you turn the wheel, plus keyless entry; as long as the key is in your pocket, simply press a button on the driver’s door to unlock the car and it will automatically lock when you walk away. Other high-tech equipment includes cruise control, dual-zone climate-control, a heated steering wheel and Bose surround-sound speakers. How much does the Mazda 3 Sport Black cost? All of this costs you £21,595. While that sounds like a lot of money, it’s substantially less than you can expect to pay with many rivals. 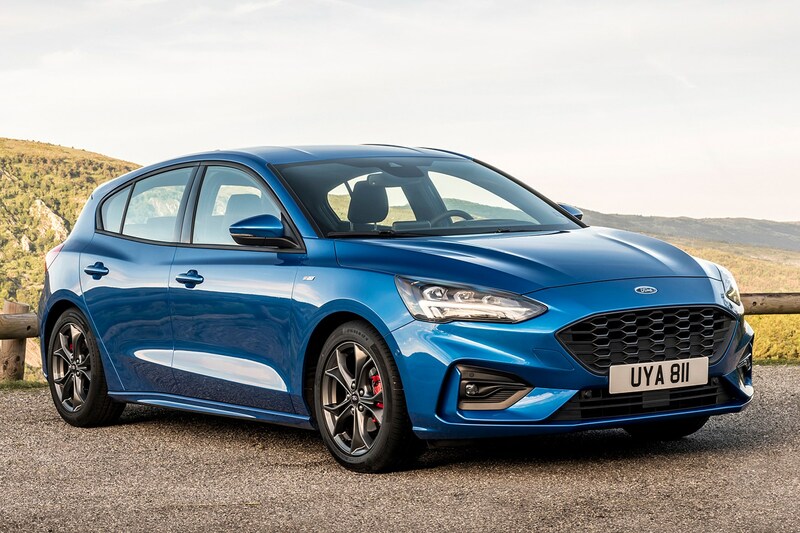 The Ford Focus mentioned above would set you back £24,300 including metallic paint – while taking over a second longer to accelerate to 62mph, at 10.0 seconds compared with 8.9 seconds. 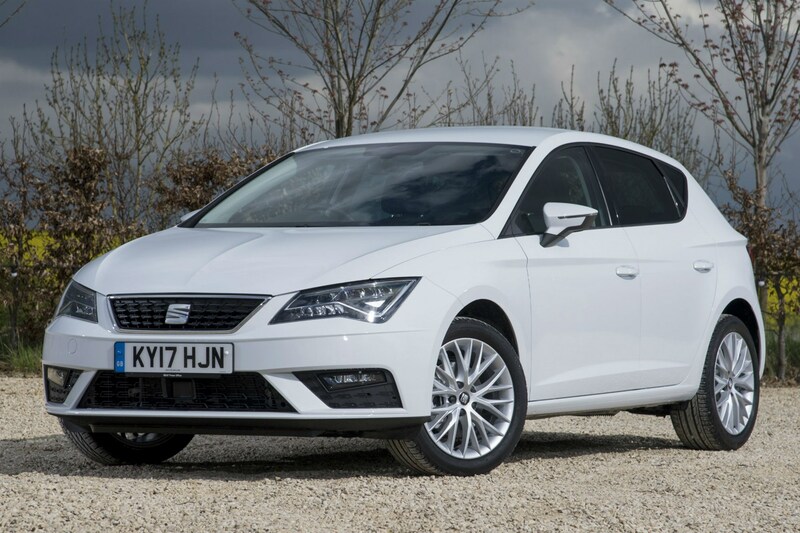 The equivalent VW Golf is £24,775 and the most comparable SEAT Leon £23,270. Is Mazda 3 PCP finance good value? Tons of standard kit and a low list price mean that the 3 Sport Black should be pretty affordable on PCP finance. 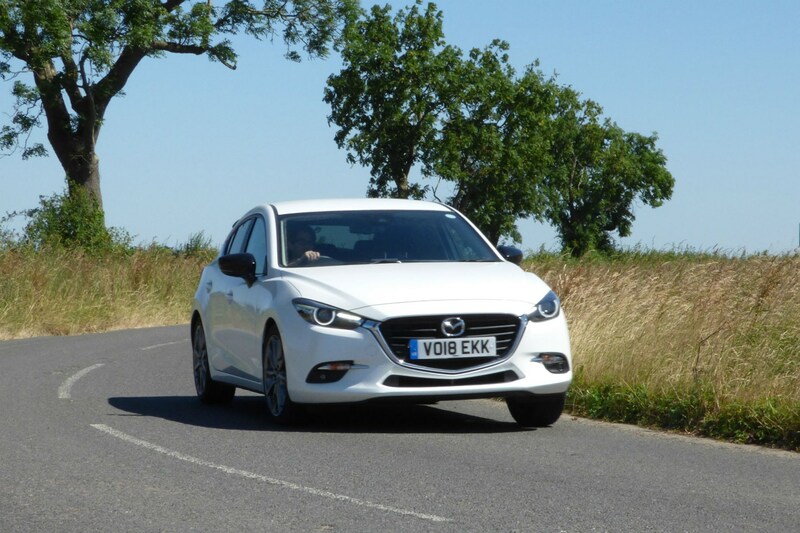 APR charges aren’t unreasonable at 3.9% and Mazda offsets this with a £1,500 deposit contribution discount – essentially wiping out all of the interest charges. 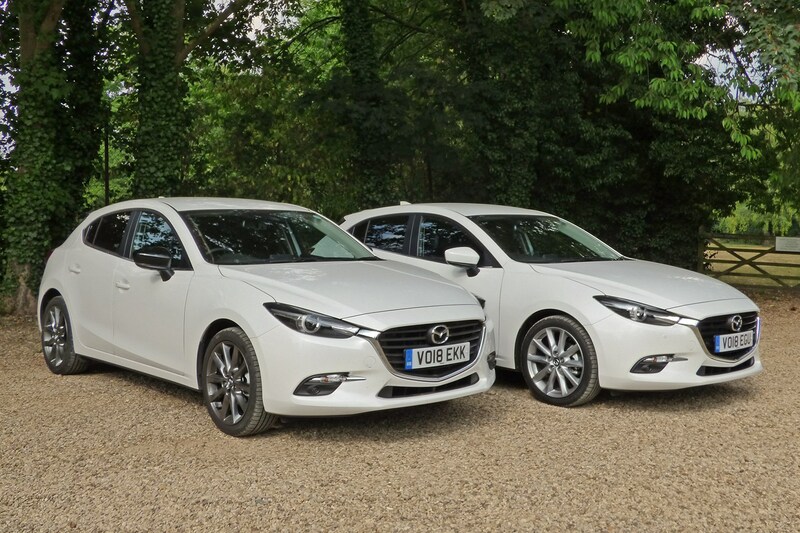 For our next update we’ll be comparing the 3’s monthly payments against its closest rivals to see if it makes sense to opt for Mazda’s PCP finance scheme. 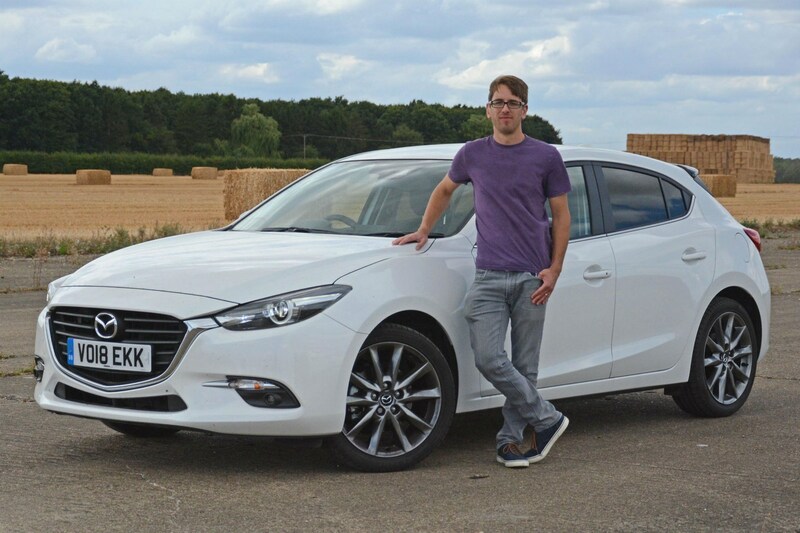 Our Mazda 3 is a refreshingly simple car; it has a large, non-turbocharged petrol engine, no options adding to the price, no in-your-face personalisation packs and no pretensions of being anything other than an affordable and practical everyday hatchback – a very positive thing. This sets it apart from the raft of style-over-substance crossovers that look like off-roaders but offer no 4x4 ability – and typically carry inflated price tags – and similarly expensive upmarket hatchbacks that look sharp but often offer little kit for the money. Sitting in the car for the first time we were pleasantly surprised with how comfortable we found the front seats. Good lower back support – something often lacking from cars in this price range – reasonable side support and a short, slick-shifting gearstick that falls readily to hand, made us feel instantly at home. Meanwhile, the dashboard, though not as plush as rivals including the Golf and pricier Mercedes A-Class, feels well built and easy to use, with a relatively user-friendly media system and the 3 is stuffed with standard kit – there really is very little important equipment it doesn’t have. We’ll find out over the coming months what the 3 is like to live with, how comfortable it is, how practical and whether the large petrol engine can get close to its impressive official fuel economy figures. Update 2: Should I finance a Mazda 3? Nearly 90% of new cars in the UK are purchased through finance, with PCP being the most popular format, so we have looked into how much our 3 costs for those paying monthly. And the news is good; monthly payments come in at £283 per month on a three-year, 10,000-mile-per-year contract with a £3,000 deposit*. That’s including metallic paint and with no options available from Mazda, you won’t find yourself at the dealer facing higher payments than that – as you can do with rivals if you tick lots of options boxes. 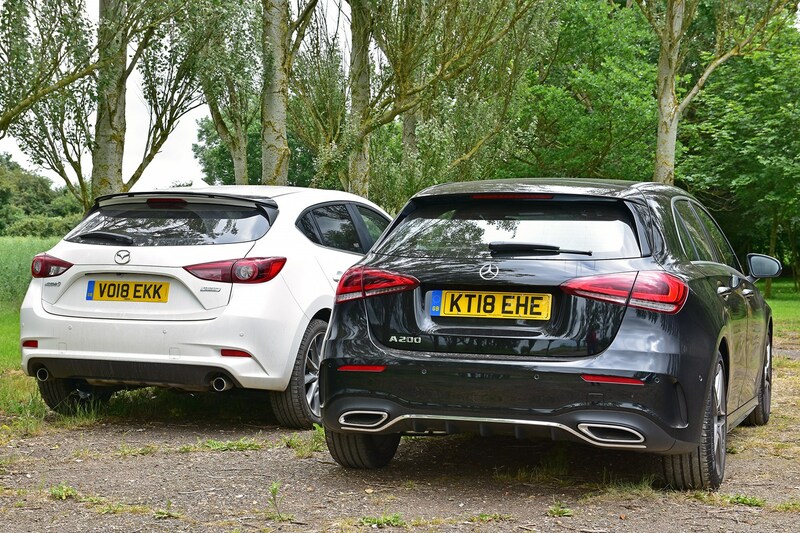 How does Mazda 3 PCP finance compare with rivals? Our 3 comes with so much standard kit that you need to look at high-specification rivals to get the same kind of equipment included. 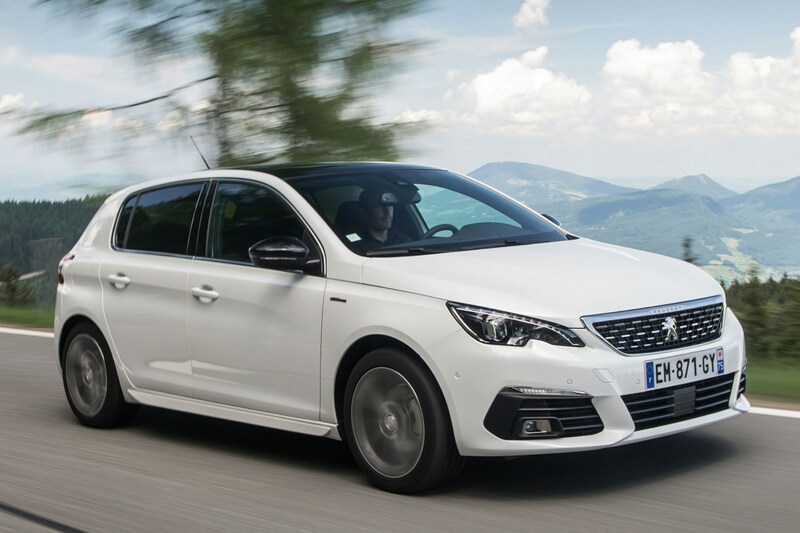 This means that the 3 has far lower monthly payments than the six alternatives we looked at to finance – the SEAT Leon, Peugeot 308, Ford Focus, Volkswagen Golf, Vauxhall Astra and even the smaller Ford Fiesta. Go for a SEAT Leon – a good value car to finance in itself – and you’ll have to pay an extra £14 per month (with identical finance terms), though this does include a few features the 3 doesn’t, such as leather seats, front parking sensors and wireless phone charging. On the flipside, that monthly payment doesn’t include the cost of metallic paint, while the 3 does include other kit the SEAT lacks – such as adaptive headlights that swivel as you turn the wheel and a heated steering wheel. Similar in cost is the Peugeot 308 at £298 per month. Offering similar performance and fuel economy to the Mazda – plus a similar level of standard kit – the Peugeot seems to make sense on paper. 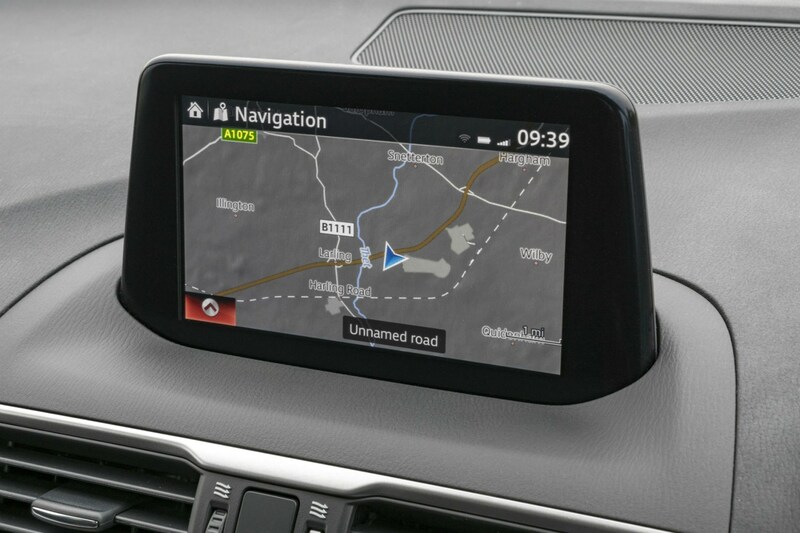 However, while it has a punchy turbocharged engine as a plus point, the Peugeot’s touchscreen media system is incredibly distracting to use while driving and you have to use it even to adjust the cabin temperature – a huge frustration. 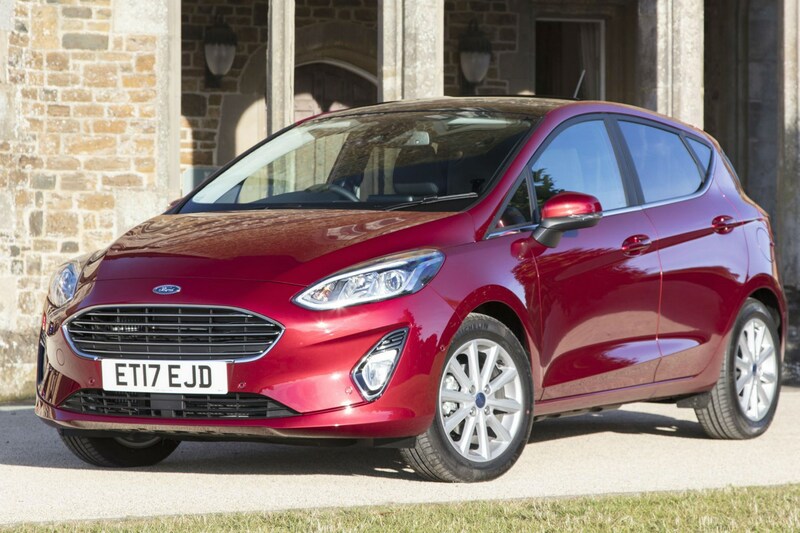 The Ford Focus has just been completely overhauled with a more attractive, more high-tech model. 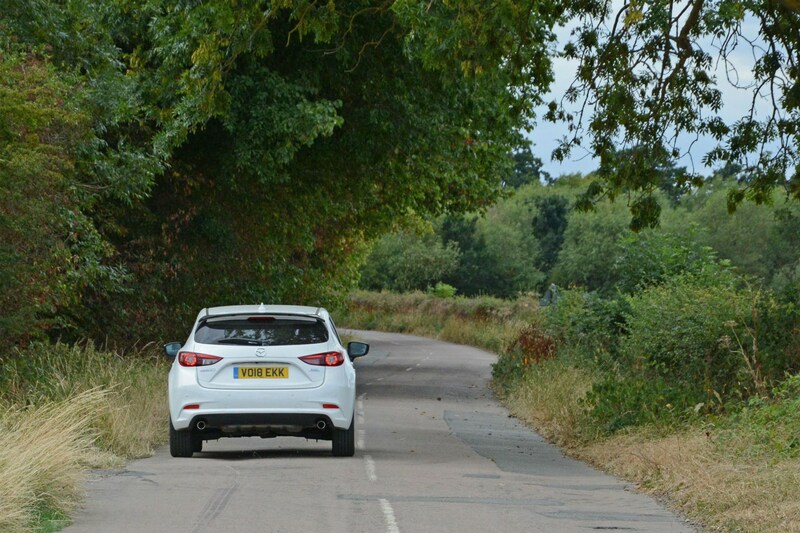 Despite its appeal, you’ll have to dig deep, with the most similar Focus setting you back £326 per month – a substantial £43 per month more than for the Mazda. Furthermore, the tiny turbocharged engine provides much weaker performance than the 3’s, with no improvement in claimed fuel economy. Yes, the Focus includes a few extras over the Mazda – such as front parking sensors and an electric driver’s seat – but it lacks others the 3 includes as standard. 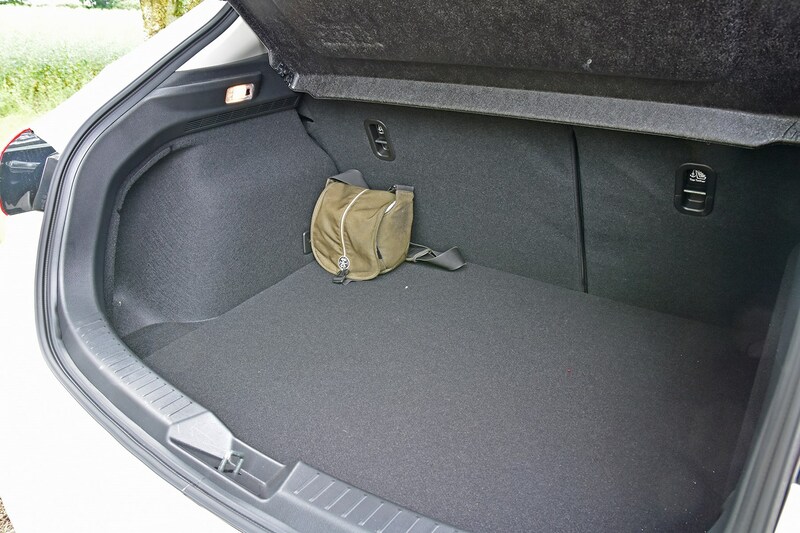 The Golf features a plusher feeling interior than the 3, but that comes with a big cost; the cost. 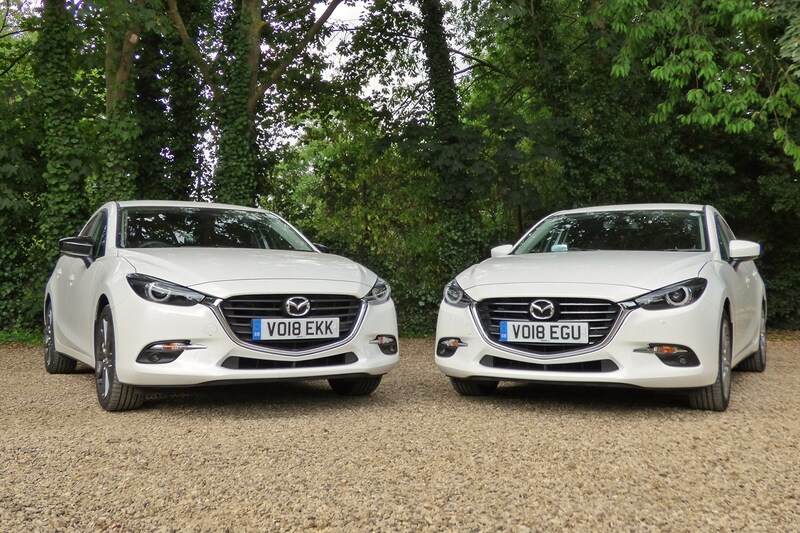 Monthly payments – again with identical terms to the Mazda – come in at £346, though you’ll have to pay extra for metallic paint, which is standard on the 3. 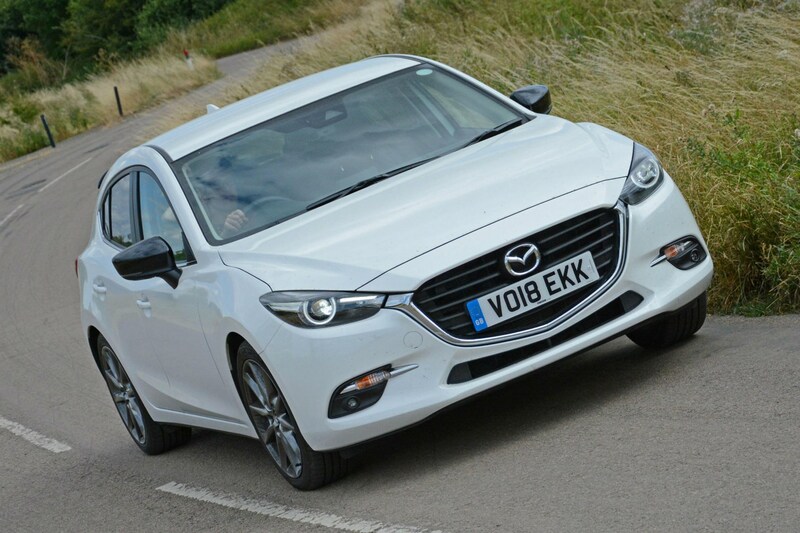 As that could add as much as £20 to each payment, the Mazda could save you around £80 per month. 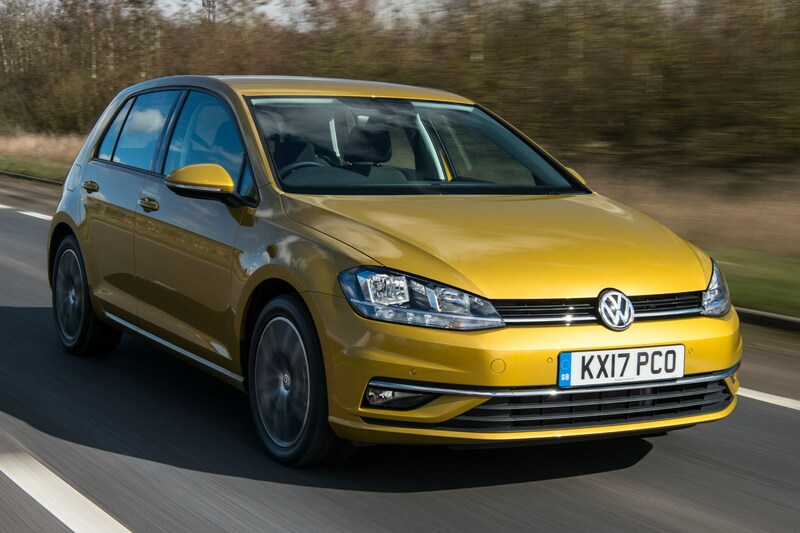 Helping somewhat justify that premium, the Golf’s turbocharged 1.5-litre engine offers good performance and the prospect of very low fuel bills, and the car has a few extras such as adaptive cruise control. 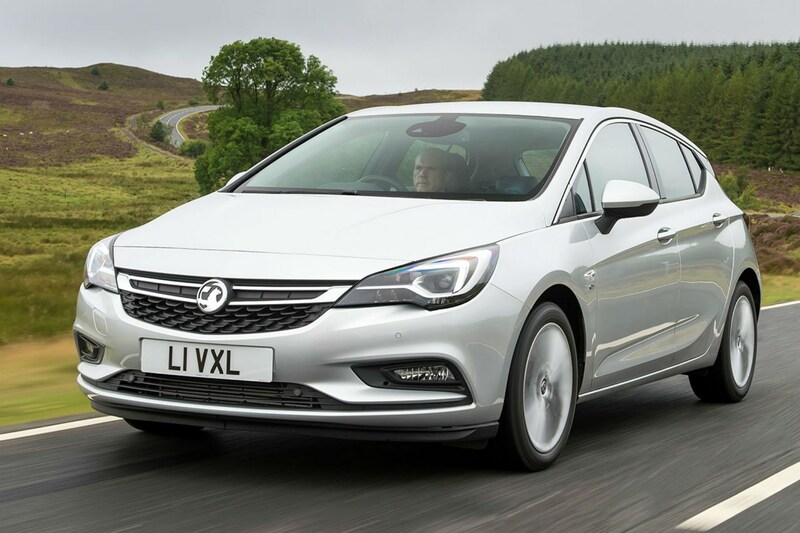 The Astra boasts a far stronger turbocharged 1.4-litre engine, which not only offers speedier acceleration than the Mazda, but greater in-gear punch, too. It’ll cost you, though, with monthly payments weighing in at a hefty £353 – £70 per month more than the 3. 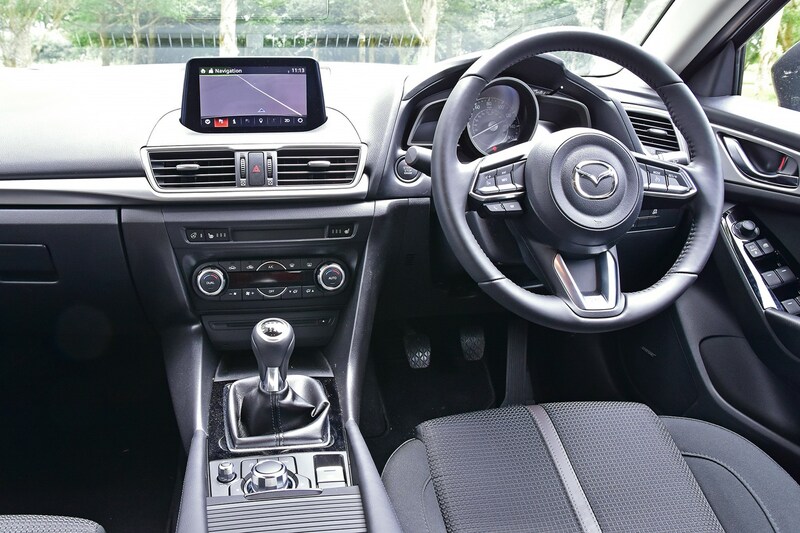 Despite this, it’s the Mazda that provides the better spread of equipment, with sharp exterior looks and more toys to play with inside, such as a heated steering wheel and adaptive LED headlights. The Fiesta may be a size below the Mazda, but spec one up with most of the same kit that ours has and it’ll cost a whopping £323 per month – a £40 premium. Yes this version of the Fiesta is nippy and enjoyable to drive, but it’s much smaller and feels like a much less substantial car than the Mazda. Should I finance a Mazda 3? Absolutely. 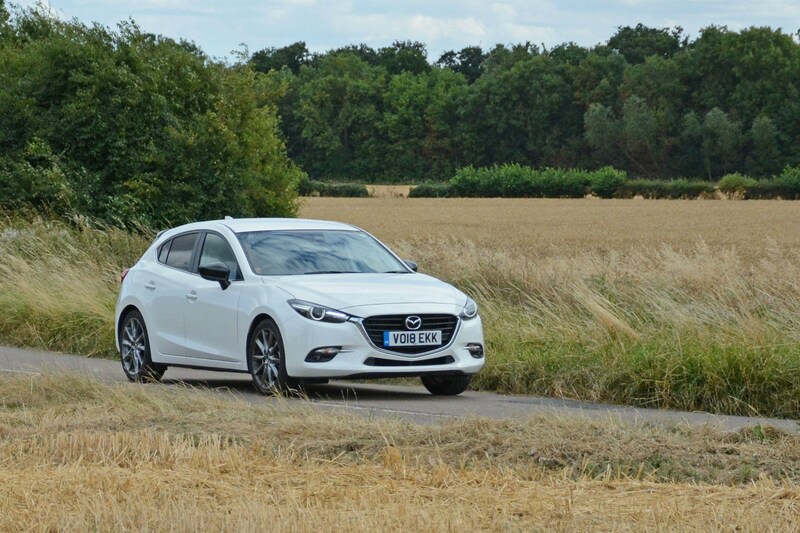 The 3 is good value as a cash purchase and it makes even more sense on Mazda’s PCP finance scheme. That’s because the £1,500 deposit contribution discount counteracts the 3.9% APR – meaning that you effectively pay no interest. As a result, whether you plan to make the optional final payment to buy the car outright at the end of the contract or hand the car back, you get good value. The only warning we’d make is that if you exceed the pre-agreed mileage limit Mazda will charge you a steep 14.9p per mile. Go over by more than 5,000 miles and that doubles to 29.8ppm. So, if you were to end up covering 37,000 miles but had signed up to a 30,000-mile limit you could expect to be charged an enormous £1,341 fine. Do the same with the SEAT Leon deal above and you’d only be charged £420. 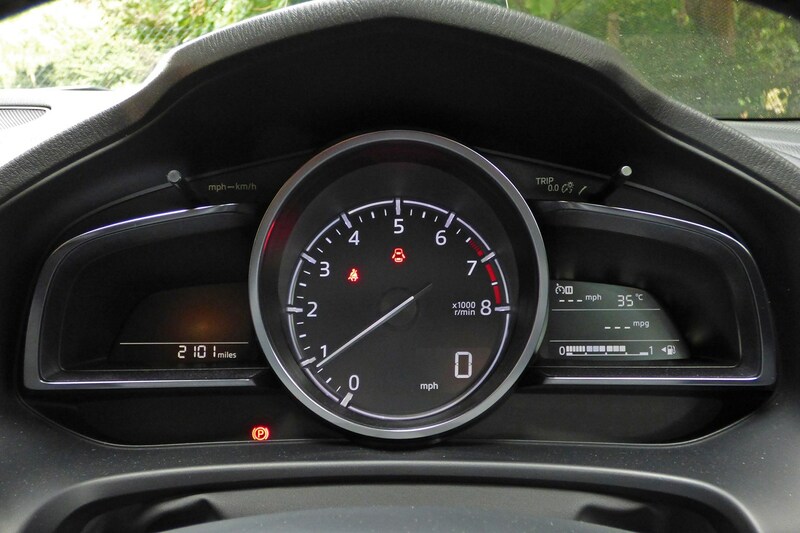 To avoid this scenario, it’s worth selecting a slightly higher mileage allowance than you think you need in the first place and if you do think you might end up exceeding this, contact the finance company to alert them and step up to a higher mileage limit. Yes, your monthly payments are likely to go up slightly, but the overall cost should still be lower than being stung with excess mileage charges at the end of the contract. Are there big cash discounts or cheap lease deals on the Mazda 3? Yes. And no. 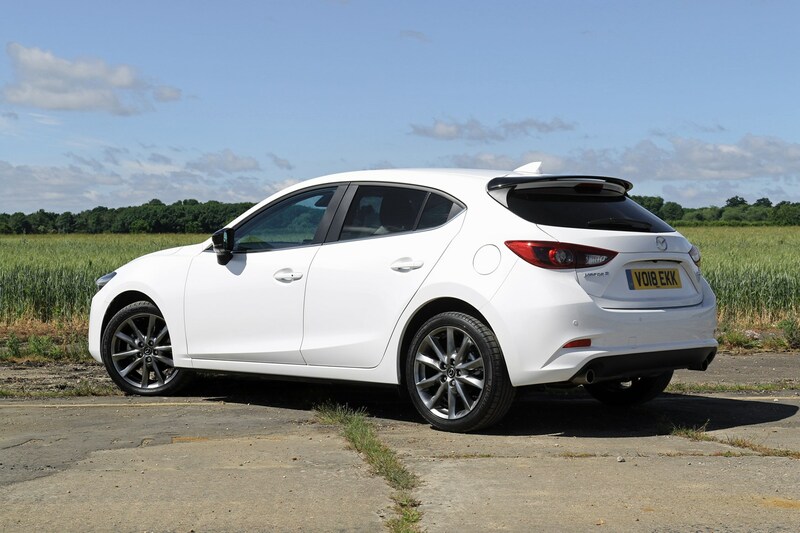 You can save yourself nearly £4,000 by shopping for a Mazda 3 Sport Black online. The lowest price we’ve found is £17,665 – a saving of 18.2% compared with the £21,595 list price. This is not the biggest percentage saving, but considering how competitive the initial price is, paying less than £18,000 for such a well-equipped car seems like a bargain. Meanwhile, lease deals on this version of the 3 could end up costing far more than PCP monthly payments from Mazda. Considering PCP gives you the flexibility to buy the car at the end of the contract and more rights to hand the car back early during the contract, we’d steer clear of these. Go for a cash deal or Mazda's PCP finance option and you should get a good deal. 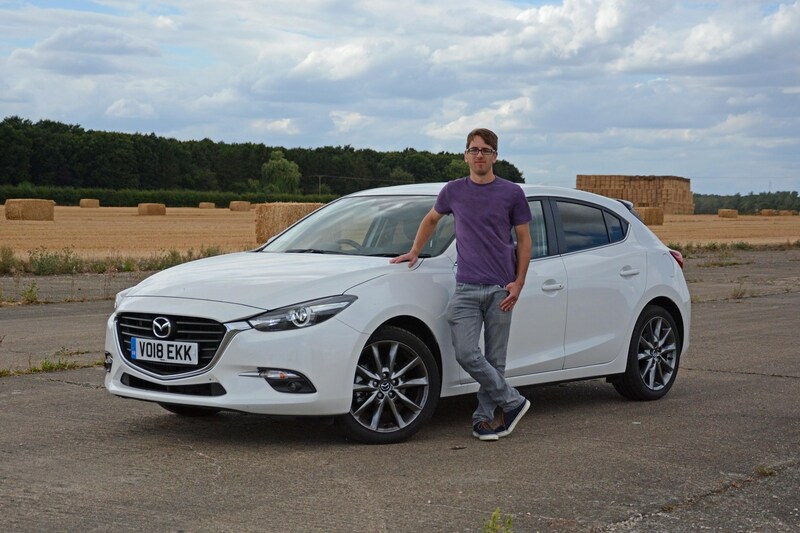 Update 3: Is Mazda 3 fuel economy up to scratch? The 2.0-litre engine in our 3 produces 120hp. To put that into context, one of the 1.0-litre motors in the Ford Fiesta produces a hefty 140hp whilst the 2.0-litre motor in the Mercedes GLA 45 AMG produces an enormous 381hp. Why so much difference between these two and our Mazda? While the Ford and Mercedes feature power-boosting turbochargers, Mazda believes the best way to marry a good level of horsepower and fuel economy is by using larger, less stressed engines. But does Mazda’s logic ring true in reality? We hit the road to find out. Petrol engines typically return far lower claimed economy than diesel equivalents and in the case of our 3, the official figure is a still strong 55.4mpg. That compares with 74.3mpg for the much slower 1.5-litre diesel option and 68.9mpg for the slightly faster 2.2-litre diesel equivalent. As claimed fuel economy figures are often wildly unrealistic, we weren’t expecting to achieve our 3’s figure. However, we were impressed that it managed to top 50mpg over 322 miles, with a barely run-in engine. This involved several hours heading up the A1, crossing the Peak District and making our way into Manchester city centre, followed by a return trip across the steep Snake Pass, winding through Sheffield before hitting the A1 again. No, it wasn’t the fastest of drives, but proves that our 3 doesn’t consume much fuel when driven gently. Seeing as topping 50mpg isn’t much of a challenge in our Mazda, we made a concerted effort to see just how economical our 3 can be. More than simply matching the claimed figure we managed to hit 59.0mpg on one 64-mile trip, encompassing country roads and dual carriageways. Yes, this required significant concentration to avoid unnecessarily slowing down, accelerating too hard or getting stuck behind slow-moving traffic, but justifies Mazda’s logic of fitting a large, but relatively low-power engine in the 3. Yes, the 3 rewards gentle driving with impressive real-world economy, but up the speed and it will chew its way through fuel much faster. Whiz along the motorway and it’s easy to see the real figure tumble to less than 40mpg. Our least economical tank to date saw us returning 37.8mpg over more than 300 miles. That might not sound great in isolation, but this was driving faster than normal and is similar to what we came to expect from our 1.0-litre previous-generation long-term Ford Fiesta - a smaller car that offered similar acceleration. This figure is also better than what we regularly returned from our long-term 1.0-litre automatic Honda Civic, despite that offering much weaker acceleration than the Mazda. 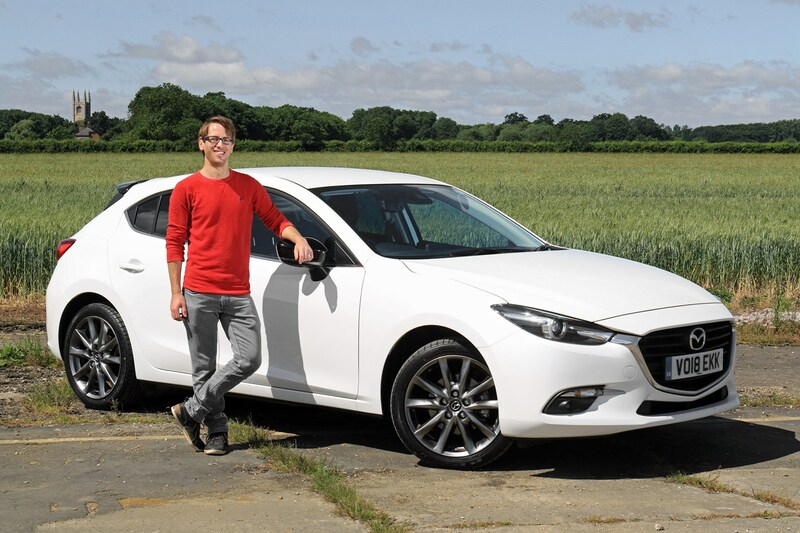 Should I get a petrol or diesel Mazda 3 on PCP finance? Yes, you can expect to spend less on fuel with the diesels, but not enough to outweigh the £59-per-month premium for the slower 1.5-litre diesel and the £81-per-month extra needed for the 2.2-litre diesel, with a 10,000-mile-per-year set-up. As a result, our petrol makes a lot of sense as the most affordable but still relatively frugal option in the 3 range. 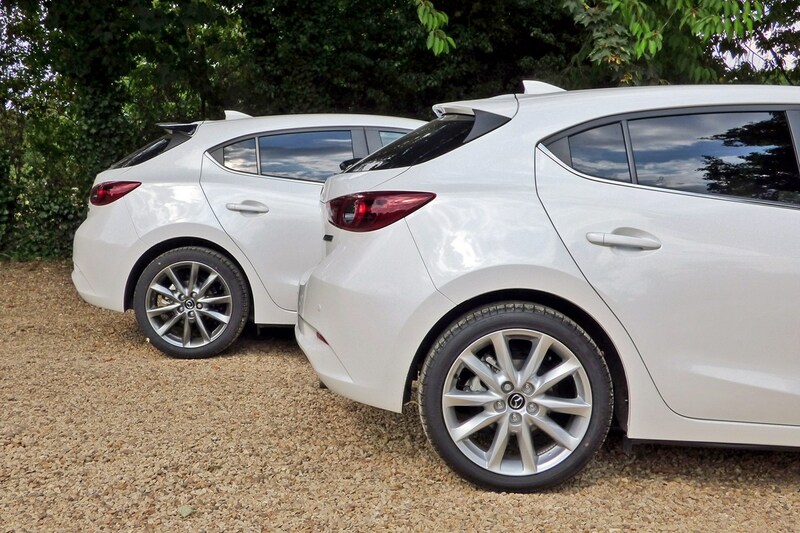 Update 4: Which Mazda 3 should you go for? 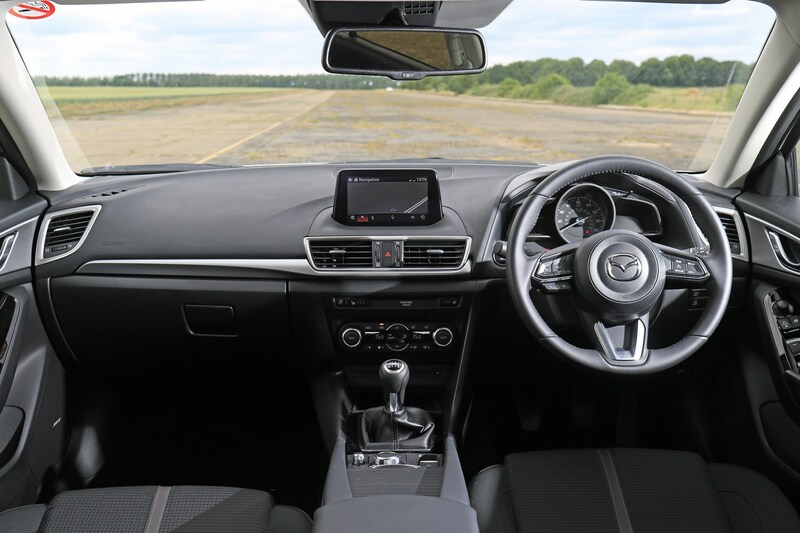 In 2.0-litre 120hp Sport Black form, our petrol Mazda 3 offers practically all the kit you could want, and costs less to finance than even the entry-level 105hp 1.5-litre diesel. However, it faces strong competition from the standard Sport Nav models and the only slightly pricier 165hp version of the 2.0-litre petrol. So, which is the smart choice to go for? We’ve already discovered in a previous update that our 3 is great value to finance, and it’s even cheaper than it was a month back, thanks to a £1,250 discount running through July and August. That makes it £263 per month on a three-year, 10,000-mile-per-year contract with a £3,000 deposit – down from £283. Choose the more powerful 165hp model, available only in Sport Nav trim, however, and you’ll need to pay £326 per month (with the same PCP finance terms, including metallic paint, which is standard on the Sport Black). So what do you get for the extra money? Not only does the 165hp version include a few bits of extra equipment, but it can also outrun the less powerful model – requiring 8.2 seconds to accelerate to 62mph compared with our car’s 8.9-second time. That extra power also sees the claimed fuel economy tumble from 55.4mpg in our car to 48.7mpg. 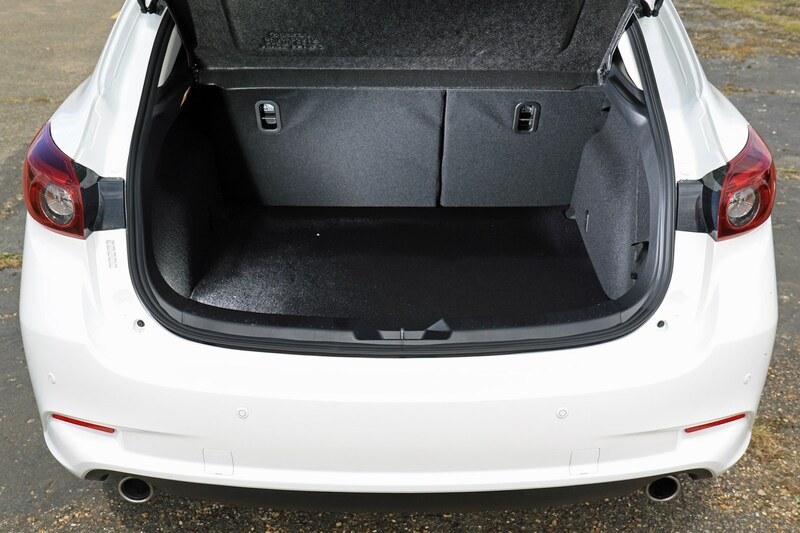 Our Mazda 3 features a long list of standard kit, but even so, the Sport Nav 165hp has a few extras on top that help it to stand out. You’d expect a 165hp 3 to offer substantially greater performance than the 120hp model, but the on-paper gap is small. More than this, they offer practically identical acceleration in the real world, when you’re working the engine hard accelerating down a sliproad onto a motorway, for instance. Despite offering the same amount of pulling power at low engine speeds, the 165hp model seemed to pick up faster in high gears, though the difference was small. Drive the cars back to back, however, and it’s the 165hp model that’s much more satisfying. Why is that? With an even slicker gearbox with shorter gearing and a big analogue rev-counter, rather than our car’s smaller digitised version, it feels more sporty with no payoff. Adding to this impression is steering that offers greater weight than the 120hp version. In isolation these may be small factors, but together they make the 165hp somewhat more enjoyable to drive, whether you’re dawdling around town or driving faster along a country road. Should I go for a Mazda 3 2.0 120hp Sport Black or 2.0 165hp Sport Nav? 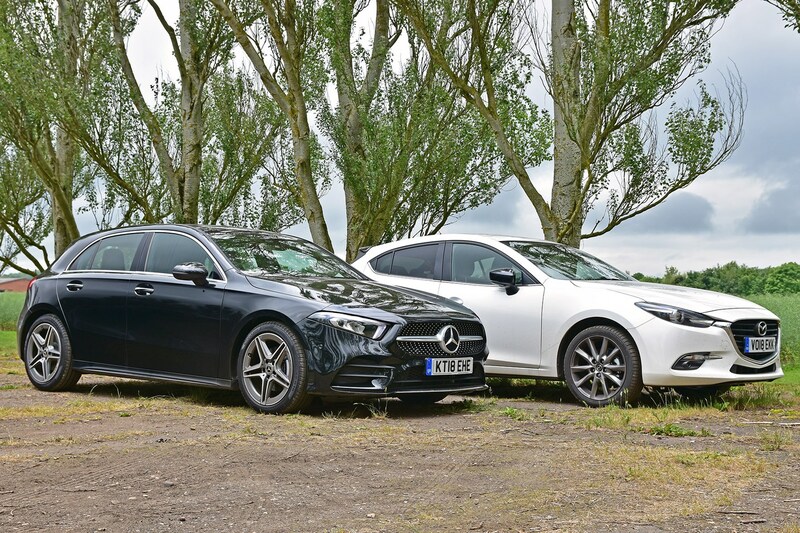 With £63 per month separating these two cars and few notable differences, it’s the less powerful, cheaper car that makes more sense for most drivers. We still prefer the 165hp model, however, thanks to its shorter gearing, weightier steering and a few extra bits of kit, which make it feel like a more desirable car. If you can afford the extra outlay, and want something that lives up to the ‘Sport’ in the name, it’s a great choice. If you can’t stretch to that, though, you won’t feel short changed with our 120hp Sport Black. 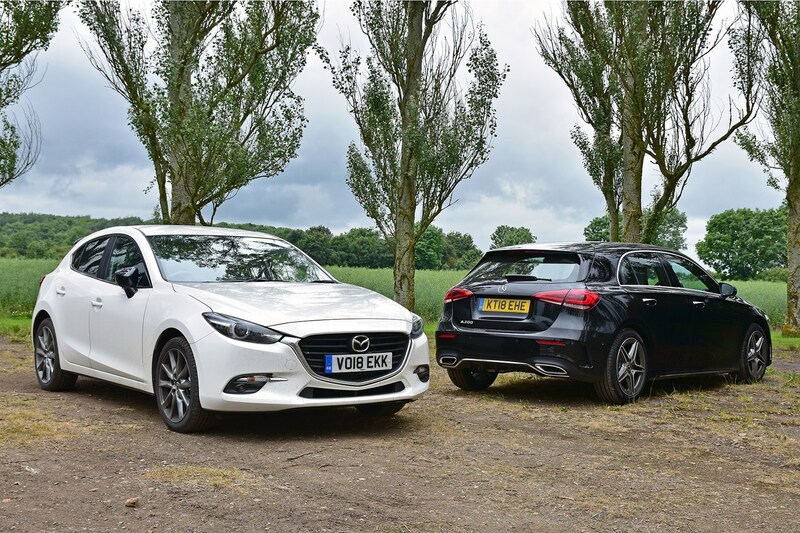 Update 5: Should you go for the top value Mazda 3 or spend more on the Mercedes A-Class? 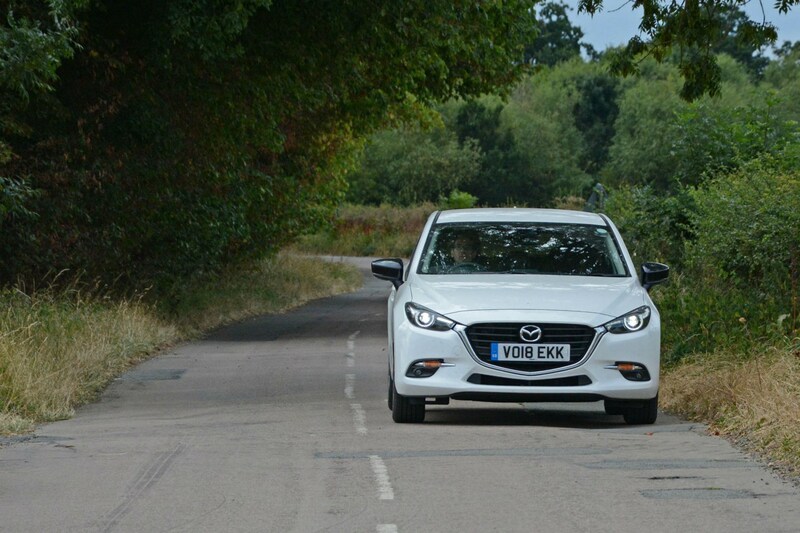 If you want a medium-sized petrol-powered hatchback with a dash of style, our Mazda is one of the best value options. If the badge is more important to you, however, the Mercedes A-Class may be higher up your shopping list – but with such a large premium, you’d expect it to be damn good. I’m not sure that’s the case, though. Even the entry-level A 180 petrol Mercedes in AMG Line trim would cost you a hefty £119 more each month on PCP finance, at £382 compared with £263 for the Mazda (37-month contract, £3,000 deposit, 10,000-mile-per-year allowance*). What the Mercedes does have that the Mazda lacks, however, is very effective voice control. You don’t even have to press any buttons; simply say ‘Hey Mercedes’ – we found that even saying ‘cedes’ will get it to work – and you can set the sat-nav address and issue other commands. 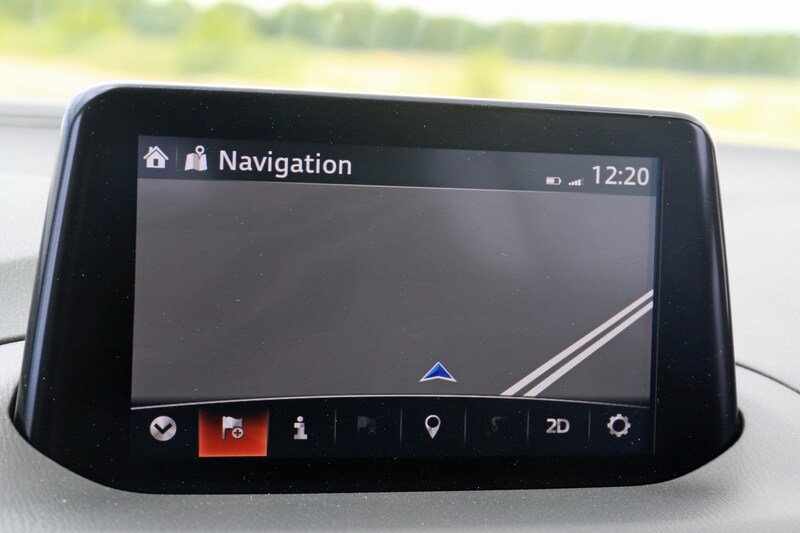 Rather than having to prod a touchscreen – or play with a rotary controller like in the Mazda – just say ‘Hey Mercedes, navigate to AA11 1AA’ and the car starts directing you immediately. It may sound like a gimmick, but it’s extremely effective and far less distracting than fiddling with the controls while driving. With digital screens for the media system and the dials, the A-Class is high-tech inside. Unless you spend big money, though, you get teeny weeny screens on a vertical panel designed for much larger displays, making the cabin feel under par for something that wears a Mercedes badge. If you want a larger media screen, you’ll need to spend a further £31 per month, taking the A 180 AMG Line up to £414 per month (37-month contract, £3,000 deposit, 10,000-mile-per-year allowance*). Alternatively pay £430 per month and you can get a larger media screen and bigger digital dials. While this kit impresses, it makes the A-Class an extremely pricey proposition, and without it the Mercedes feels underwhelming inside, even compared with the Mazda. Yes, the design of the A-Class’s cabin is far more stylish than our Mazda, but we found several of the materials felt cheap and nasty – including the flimsy door pulls and sharp plastic trim on the side of the transmission tunnel in the front of the cabin. We got our hands on an A 200 AMG Line – which features a more powerful version of the A 180 engine. This would set you back £407 per month, rising to £455 with the large media screen and digital dials fitted to our test car. The Mercedes’ interior may look miles more modern than the Mazda, but hit the road and it disappoints, with an engine that is notably coarse when worked hard. The suspension isn’t as smooth as you’d expect in a Mercedes, either, often failing to settle on anything other than perfect tarmac – a rarity on UK roads. Refinement on the motorway is reasonably good, but we still noticed a substantial amount of noise thrown up from the tarmac and an irritating whistling from the rear windows at speed. 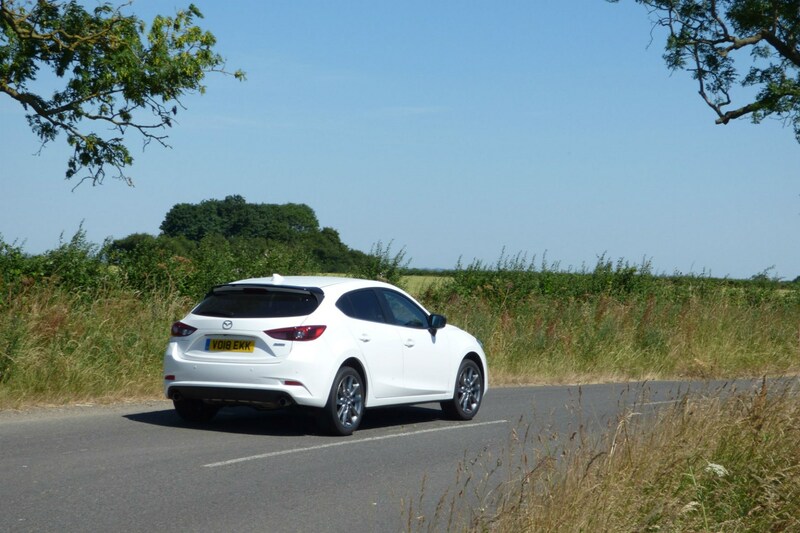 While our Mazda isn’t the quietest car on the motorway, kicking up a lot of road noise itself, surprisingly it offers a better combination of engine refinement, ride comfort and reasonable road holding. 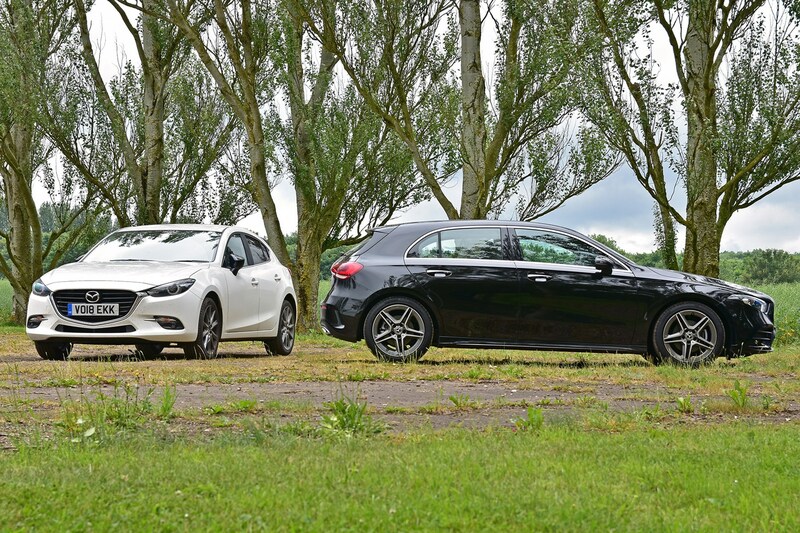 Mazda vs Mercedes: would we spend £119-£144/month more on the A-Class than the 3? No. We simply can’t work out where the premium for the A 200 AMG Line goes. Yes, many drivers like the idea of having a Mercedes on the drive and it looks far more modern than the Mazda on the inside with fantastic voice controls, but the upmarket impression Mercedes likes to portray is only skin deep in the A-Class. Engine, suspension and refinement all are unimpressive for the price. The previous A-Class may have been one of the UK’s bestselling cars and the new model is likely to continue that trend. However, we can’t help thinking that this is very much down to the badge on the bonnet rather than the quality of the product itself. 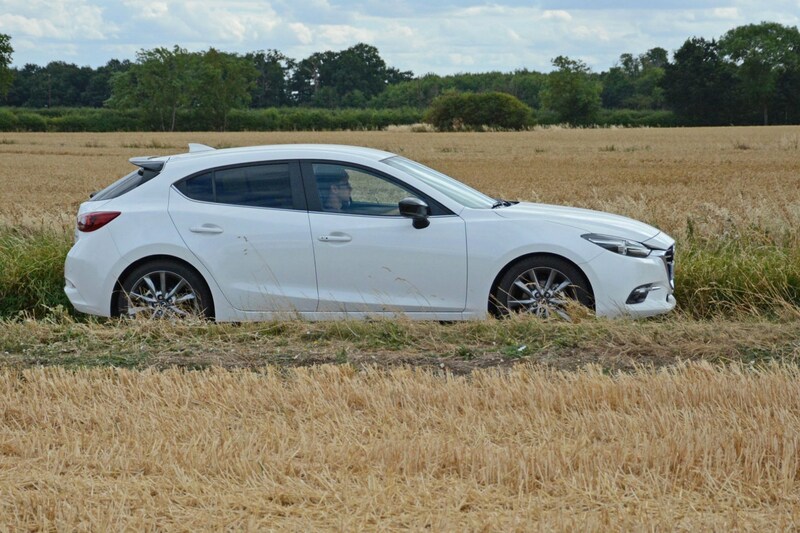 On the flipside, the Mazda may not be the obvious medium hatchback choice, but it is extremely good value and offers all the performance, space and kit that most drivers could ever need. Yes, it lacks the Mercedes’ feel-good factor, but would you really care if you had an extra £119 per month in your pocket plus a load of extra kit? I wouldn’t. Our long-term 3 may not be the most obvious medium hatchback – overshadowed by models such as the VW Golf and Ford Focus – but could it be a real unsung hero? The Parkers team has its say. 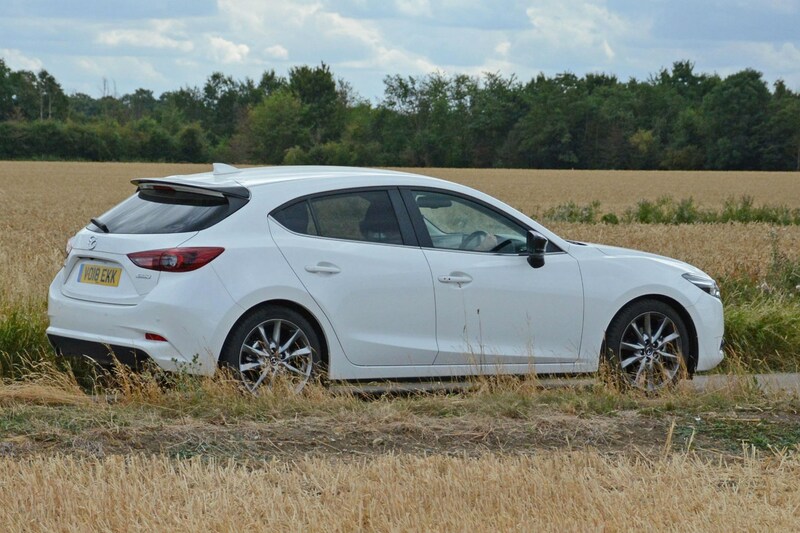 Over the last three months I’ve been quietly impressed with our Mazda 3. It may be low-key and a less obvious choice than big-selling hatchbacks including the Volkswagen Golf and Ford Focus, but that doesn’t detract from its appeal. A long list of standard kit, great value PCP finance offers, decent practicality and a pleasant drive make it a very convincing all-rounder for those after an affordable medium hatchback with a dash of style. Fuel economy has proven consistently strong, averaging out at well over 40mpg, despite the 3 seeing its fair share of motorways and fast A roads. And there were no issues at all on the reliability front. Borrowed the Parkers Mazda 3 at the weekend for a flying family trip to the women’s hockey world cup at the Olympic Park in London. I’ve always admired the alt-Golf vibe of the 3 and this trip did nothing to change that opinion. It’s a well-engineered mid-sized hatchback that drives well, is competitively priced and has some decent finance deals, including attractive 0% APR packages at the time of writing in summer 2018. It's a pleasingly rounded car to drive: the ride is comfortable and soaks up most road acne; the cabin is well thought through and accommodated my family of four and day-trip luggage with no trouble; and the petrol drivetrain is refined and has adequate performance, although proved a little wheezy four-up at motorway speeds. We averaged a creditable 40.8mpg over the weekend, which is pretty decent for a petrol hatchback, I think – especially with the air-con puffing away to counter 30deg C heat. But what appeals most is the quality of engineering. Japanese cars have a good reputation for reliability and I suspect the Mazda 3 would make a fine long-term ownership prospect. It doesn’t have the immediate prod-and-push quality that makes a VW Golf feel so premium, but it feels built to last. In fact, I rather like its low-key, under-the-radar character: it’s unassumingly capable. If I were shopping for a mid-sized hatchback, I’d definitely have the Mazda 3 on my shopping list. The first time I drove one of these, I wasn’t particularly enamoured by it. A bit quiet, a bit shy and a bit forgettable really. The engine felt underpowered and a bit gruff when worked and it wasn’t the sharpest tool in the sector. But now after a revisit, I’m definitely more fond of the 3. This is a car that grows on you; I’m still not sure if it’s one you could ever love, but it’s definitely got me asking why there aren’t more Mazda 3s on the road. It does need a bit more fizz from the engine though, feeling like it needs waking up with its first cup of coffee in the morning. 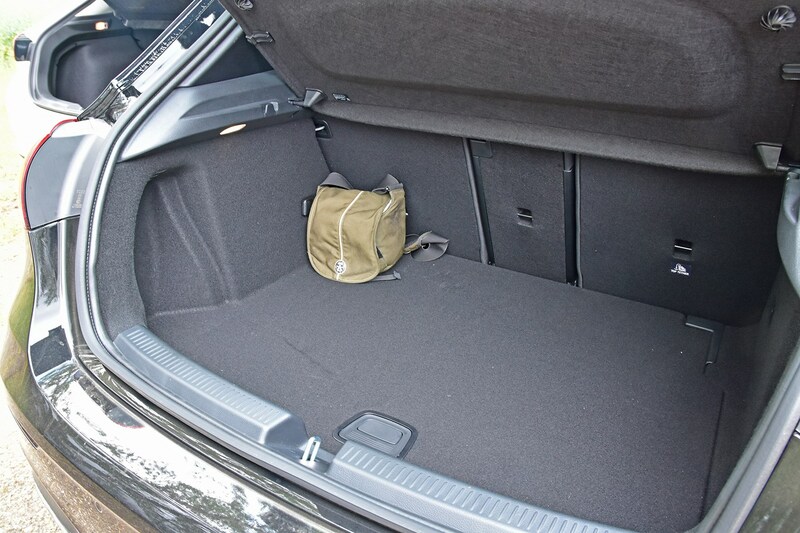 There’s still plenty to like: the low seating position betters my Peugeot 308 GTi. The small gear lever with its short throw also betters my French hatch but the brake pedal doesn’t actually do anything until it’s pressed about a third of the way down – despite having decent weighting. The 2.0-litre engine is muscular around town but it doesn’t enjoy being worked hard. Keep it below 4,000rpm and it remains smooth and hushed. The Bose sound system, a bit like the engine, seems a little quiet in volume output but otherwise this is a car that seems to be understated in nature. Drive this 3 down a country road and it becomes apparent how much fun it can be – especially considering it rides this well. 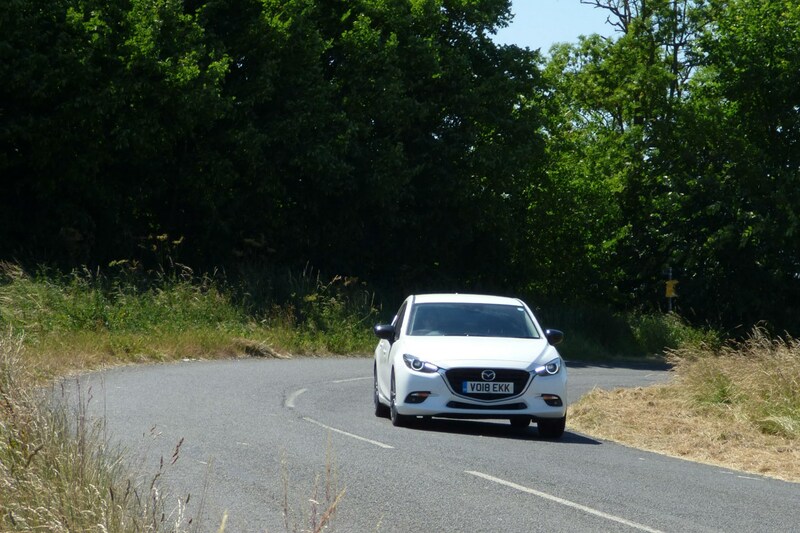 The Mazda 3 doesn’t have the lightning-quick reactions of a sporty hot hatch but takes everything in its stride. I have one big question though - how can the Mazda 3, being larger in size and less powerful than my old Ford Fiesta Zetec S Black Edition, be quicker on the 0-62mph run? Would we purchase a Mazda 3? Yes. The 3 is a good all-rounder that may not be the first model to come to mind when looking to replace your car, but one that offers lots of standard equipment, an enjoyable drive and low running costs. Throw in very good value finance and there’s really no reason not to get a 3. It may not be the most luxurious feeling car in the class – the Audi A3, for instance, is much more upmarket inside – and the 2.0-litre engine doesn’t feel as muscular much of the time as even the turbocharged 1.0-litre available in the VW Golf, but you get a lot more car for your money with the Mazda. Take into account the very good value PCP finance deals available from Mazda and the 3 is one of the best cars per pound in the class. If value is important to you, therefore, the 3 should be very high on your shopping list.